All real estate IS local but that’s only part of the concept. 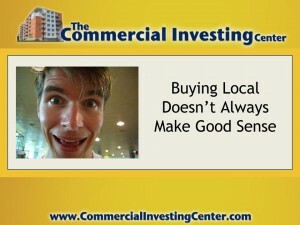 There’s a good chance that your local might not provide the best investment opportunity at any particular moment in time. To find the best deal, consider expanding your horizon and investigate someone else’s local. 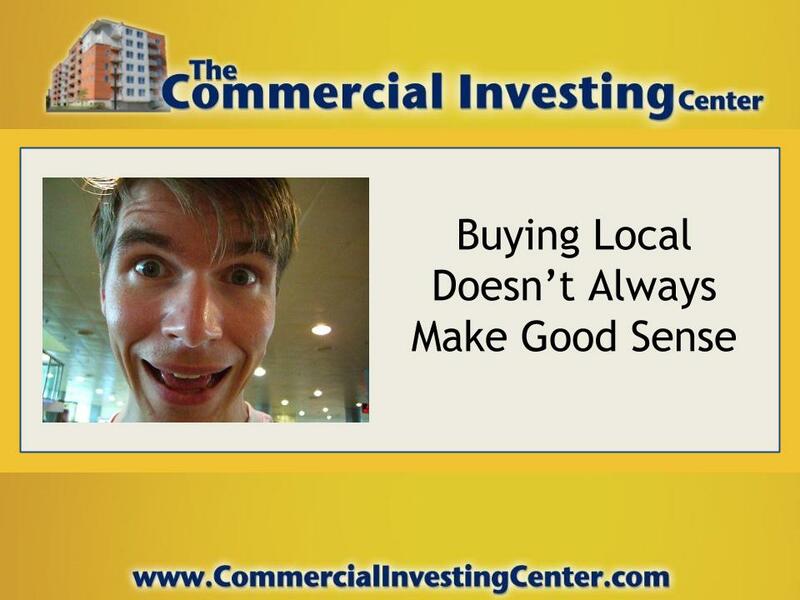 Here are three reasons we believe that, when it comes to real estate, buying local might actually be kind of stupid. 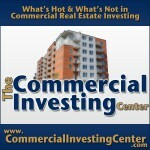 Guess what the first and last thing you’re going to do every day if you live close to your investment property. Drive by it! Probably to an excessive degree. Don’t feel bad. You can’t help it. It’s human nature. You’ll be checking to make sure the tenants aren’t letting the grass get too long or cluttering up the yard with too much junk. When you live right down the block from an investment property, there’s a good chance you’ll be the crazy, stalker landlord. Don’t be the crazy stalker landlord. The housing market is cyclical. What that means to the income property investor is that there is no reason to be satisfied with a local market languishing in the doldrums when you’ve got a whole nation to choose from. Remember how southern California real estate was stuck in the toilet five years ago? Smart investors, however, were scouring cities like Indianapolis, Memphis, Atlanta, and Austin because those areas remained hotbeds for great property deals. The term to remember was coined by Jason Hartman. Area Agnostic(™) simply means you take the emotion out of it and buy where the deals are good, regardless of which geographic area that entails. Take heed. If your tenants figure out you live nearby, there’s a good chance they’ll be knocking on your door about everything under the sun. The water’s not hot enough. The AC’s not cold enough. The barking dog next door is infringing on their civil liberties. And it won’t even matter if you hire a property manager as a buffer. If they know you’re in the neighborhood, they’ll find you. Once again, it’s just human nature.